Whoever knew there could be so many valuable tips to be learned about sewing with taffeta? The second “part” of my dress, which I began under the tutelage of Susan Khalje in early June, was simple compared with the embroidered silk organza overlaid bodice. However, it proved to be an excellent opportunity to learn about some of the peculiarities inherent in silk taffeta. This is one of the original 4 panels. 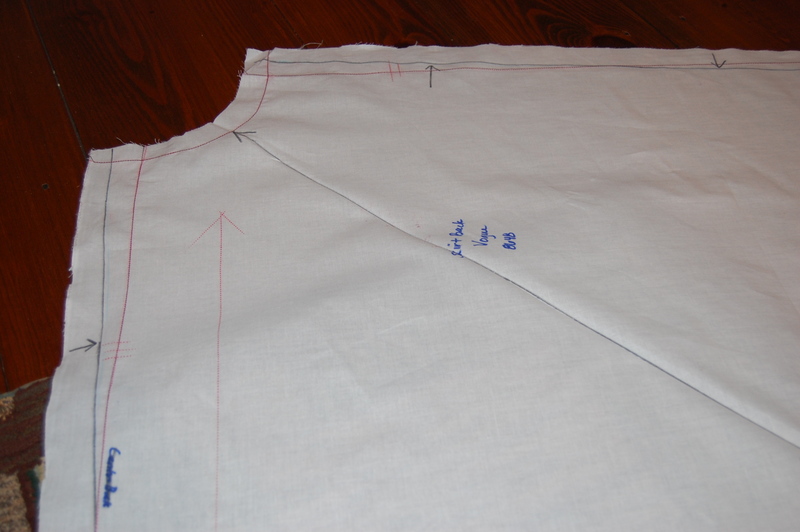 We redrew the side seams, adding enough to the waist to compensate for reducing the skirt to three panels, and by doing that, also reduced the width at the bottom of the panel. Here is a close-up, with the new side seam lines and straight of grain going up the middle rather than down the side. Both are marked in black. All the basting lines are still visible. Ironing those seams also took special attention. Susan had me iron them over a seamroll, taking care to “spread” the seam so that the tight stitching actually would show in front of the point of the iron. This was to get a crisp seam. 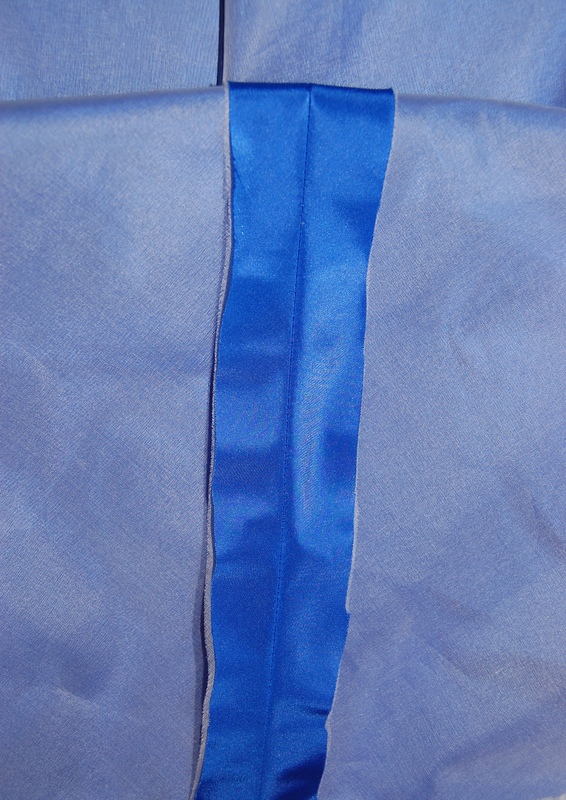 Once ironed, taffeta does not respond well to changes in your intent (like some people we all know), so it has to be done correctly the first time. The interfacing was sandwiched between the fashion fabric and the underlining. I haven’t pressed the hem yet, but Susan has instructed me not to press the edge of the hem flat. It should have a little softness to it, which is the French way! I’m all for that. 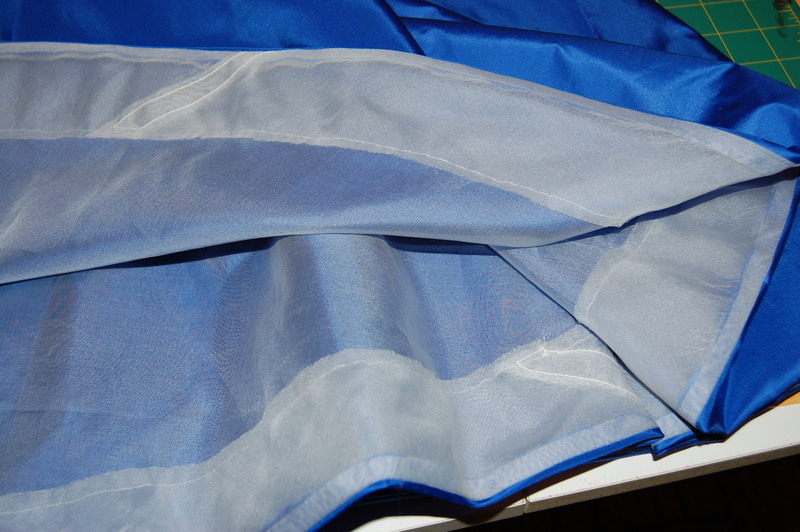 The lining, which will be the full expanse of the skirt itself, will be out of silk crepe de chine and will hang loose. In the past, I have always thought of taffeta as kind of stiff and a little too structured for my taste, but now I am a fan. I like the slight rustle to it, and when constructed properly, it drapes and moves beautifully. 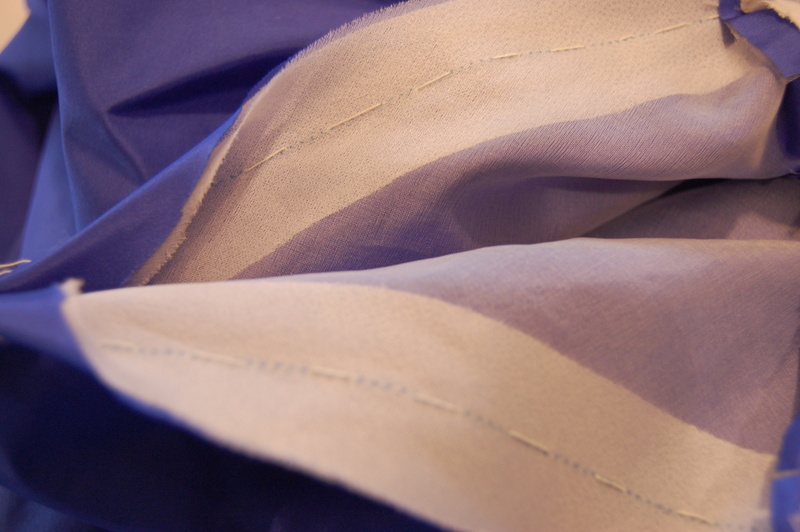 The secret is to work with very fine quality silk taffeta – and know the tricks! Thanks, Susan! I am constantly amazed by the depth of Susan’s knowledge. As I’m planning a silk taffeta skirt, these tips are going to be very helpful. I agree about Susan’s depth of knowledge – it’s remarkable. So happy to hear these taffeta tips will be helpful! Oh, that skirt is wonderful! And handy tips…..as one who is just beginning (again) to sew, the blogging community offers a wealth of information! Thank you, Jen! It’s such a privilege to be able to share helpful sewing tips – it’s a wonderful time to be sewing! Thanks so much for sharing. Your skirt is beautiful. I adore this colour and think the skirt is wonderful. I too had avoided taffeta due to its stiffness but this information is superb. I am also grappling with flares at the moment in my draping class and am experimenting with triangles and circles so this is most useful. Thank you Karen. And Susan! You are very welcome, Kate! I am looking forward to my next encounter with taffeta, whenever that might be! Thanks for sharing! 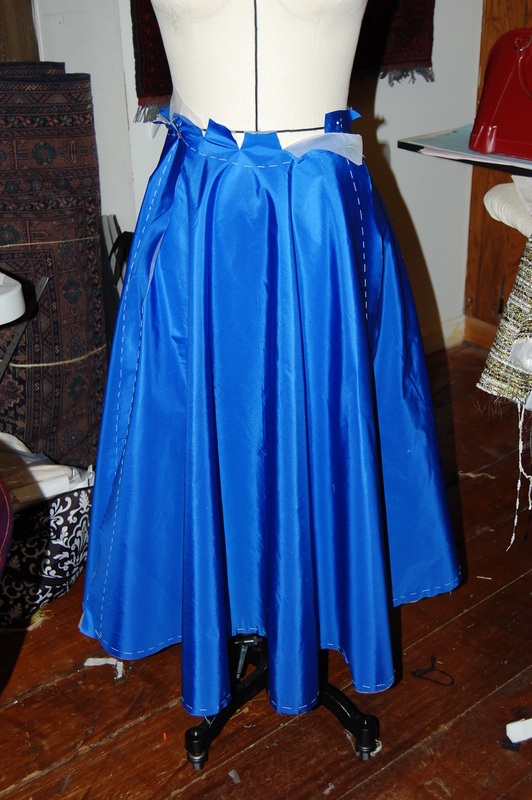 The skirt is beautiful and those tricks for sewing with taffeta very interesting. You’re very welcome – and thank you! Thank you for your silk taffeta tips. At the moment I’m vacillating between silk taffeta and a silk brocade for a frock so these tips are timely. My frock is quite structured (tulip shaped skirt and fitted bodice) so I’m not battling with drape. If anything I’m after stiffness for the skirt. As an aside and a completely useless bit of trivia, did you know that “scroop” is the name for the noise that taffeta makes when it rustles? And it is a legitimate scrabble word. I would imagine that silk brocade should be treated much the same way as taffeta; either fabric sounds perfect for your dress. So glad to know about scroop! Spell-check doesn’t like it, but I do! Looks very elegant. I’m looking forward to seeing the finished dress. If any of your readers want an explanation of the skirt pattern changes the best resource for drafting circular skirts and variations of them is ” Couture: The Art of Fine Sewing” by Roberta Carr. 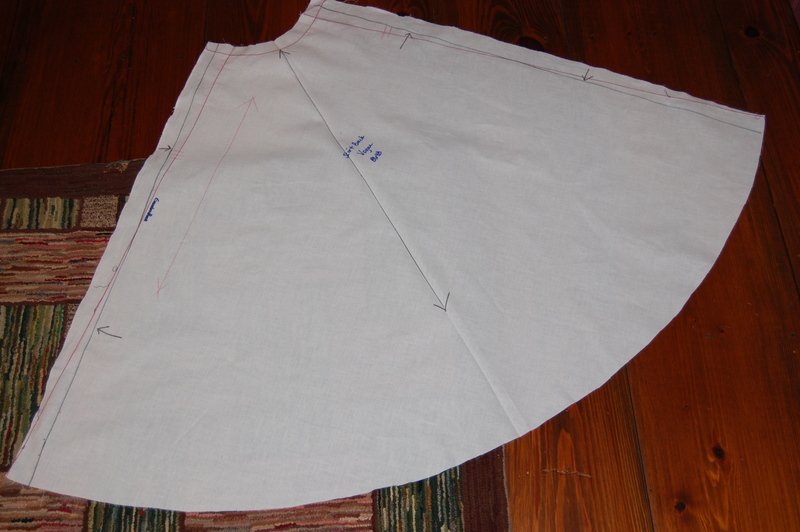 She explains exactly how to draft the pattern to fit your waist and skirt length. Most important is the explanations of how to chop up the circle and reposition the grain lines to achieve beautifully shaped “cones” (the soft folds of fabric radiating out from the waist). Your skirt drapes beautifully! Yes, when one doesn’t have the expertise of Susan Khalje at hand, that book is the best one to go to! Thanks for mentioning it, Mary. Just a few details left on my dress, which is a good thing since I need to wear it next week! Isn’t it awesome how someone in the class always has the exact right thing that you never in your wildest dreams would have though to be necessary??? It’s looking lovely!! I agree – I love that taffeta sound! I have found fellow dressmakers to be some of the best prepared and kindest people on earth – another reason to love taking sewing classes. I’m loving reading the process you are going through making this dress. Hiw I would love to take a class with Susan! 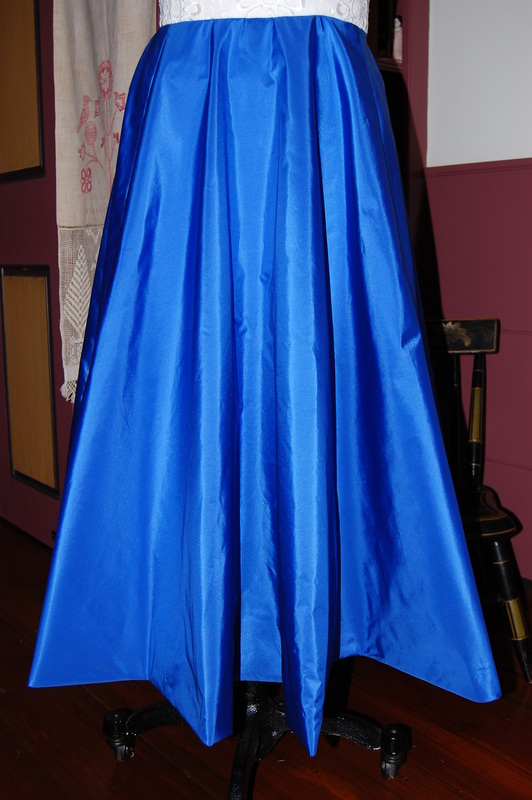 That knowledge of how to place the grain lines makes a world if difference in the drape of the skirt. I hope someday you will be able to take a class with Susan. I am constantly amazed at the depth of her knowledge – and she’s just so much fun, too! So glad you are enjoying my posts on this dress.